Bathrooms have been modified to offer walk-in showers and new showerheads. 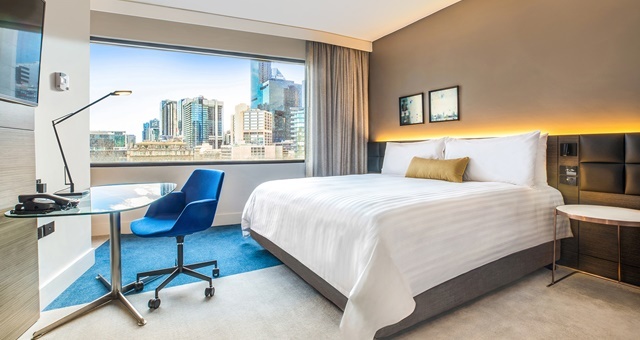 Common features of the revamped rooms include new premium bedding and furniture along with a significant upgrade to the wi-fi connectivity on offer to guests. 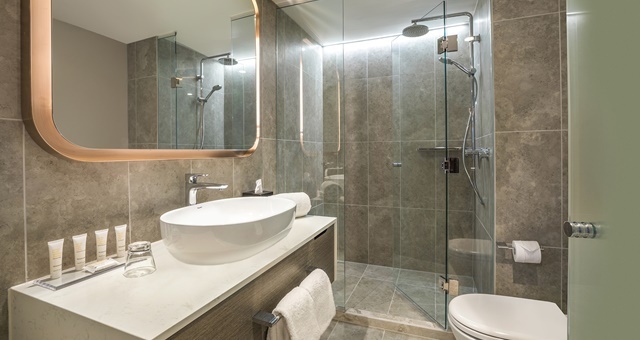 All bathrooms have been completely refreshed with standalone showers and the latest showerheads, while new Judith Martinez artwork and ‘Layers of Melbourne’ digital decorative collages have been installed. City View rooms now offer walk-in wardrobes and new work stations for business travellers. Luxury Suites have also been upgraded with new deep bathtubs and walk-in showers. Phase 2 is due to kick off from next April, with all public areas set to go under the knife, with a total redesign of the hotel’s lobby, pool, fitness centre and conference facilities to take place. A brand new restaurant and bar concept – details of which are yet to be announced – will also be added to the hotel’s dining lineup. All rooms have also been fitted with sleek, new desks and improved wi-fi for business travellers. Tina Parkinson, Senior Development Manager at SB&G Group – a fund and investment manager for InterContinental Hotels Group of which Crowne Plaza is part – described the inspiration behind the rooms’ new identity. “Multiple workspaces enable casual and formal work areas, open ‘walk-in’ wardrobes enhance the leisure experience, and bright and inspiring accents complement the rooms’ neutral and calming tones,” Parkinson added. InterContinental Hotels Group Area General Manager, David Mansfield, said the property is now firmly a premium consideration for all travellers. “With Phase 1 of the refurbishment now complete, together with the hotel owners SB&G Group, we are excited by the appeal the new rooms will have for business, long-stay and leisure travellers and we look forward to welcoming them”.